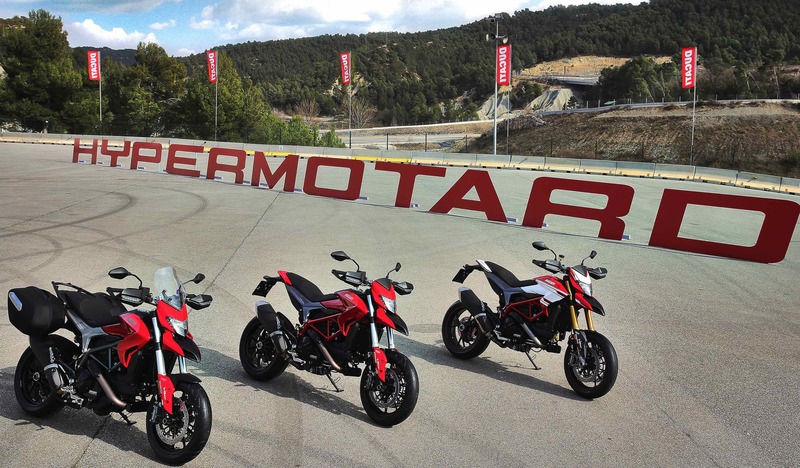 Has Ducati’s crazy teenage delinquent, the Hypermotard, gone all grown up? There’s a conflict at the heart of most big bike firms. On the one hand, they’re proper, grown-up companies, with corporate social responsibility programmes, charity partnerships, and environmental policies. Polished PR departments underline their worth as responsible, productive members of Big Society, adding value to economies and wealth to local communities. Meanwhile, out back in the factory loading bays, they’re shipping out 200bhp road bikes to certified fast-lane lunatics, who’ll use them to tear up the highway, burn through petrol and tyres as fast as they can and, in general, cause small ecological crises wherever they go. I’m not complaining. Indeed, I’m as every bit as bad as the next guy when it comes to a burnup. I’m building a turbo bike in my garage, my car is a twin-turbo V8 and sadly, my licence is far from clean. But I can see why the bike firms have to put on the show. Particularly when they’re owned by even bigger, fancier, more responsible companies – like, say, Ducati being owned by Audi. Of course, Audi itself is a master at this game. That old twin-turbo V8 of mine has the famous four interlinked circles on the radiator grille. And while the Ingolstadt speedfreeks have built plenty of ‘green’ motors over the years, from the A2 and A1 to the diesel-powered Le Mans R10s, they also quietly churn out millions of high-powered turbo-nutter machines for highway hoodlums from all nations. So. Firms like Ducati have to make nice sometimes, like launching the Sixty2 Scrambler using bevvies of gorgeous softcore West Coast models. But they also have to make nasty. 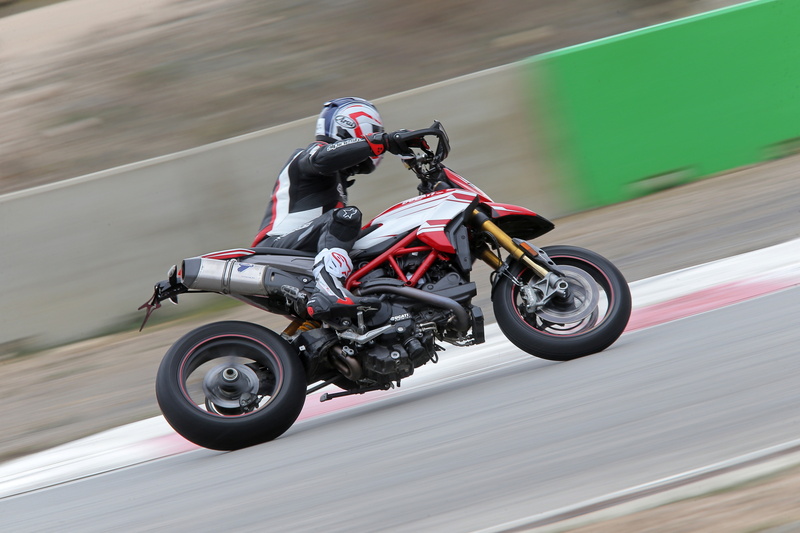 Enter the Hypermotard (finally! – Ed). First seen in concept form in 2005, as one of the last Pierre Terblache-penned Ducatis, it was a stripped-back, stark piece of nonsense. The ‘supermotard’ meme’s stock was high at the time, and, pre-financial-crash, bike firms were keen to monetise the notion of a road-tuned, home-built dirtbike. KTM had launched its excellent-if-unreliable 950SM and BMW’s lunatic Megamoto was just round the corner – so Ducati had to come up with something. What it did come up with was an 1100cc air-cooled two-valve desmo motor, bolted into a tall, skinny chassis. Long-travel suspension, top-notch brakes, single-sided rear swingarm and sticky rubbber ticked all the required boxes, and fans of the bizarre and sick celebrated round the world. 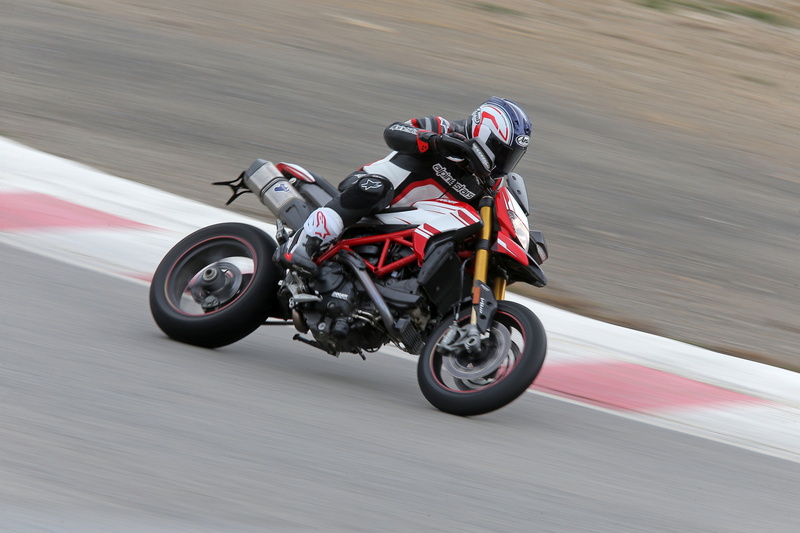 The Hyper was pretty hard-edged: the throttle was like the hair trigger on a sniper rifle, and while the motor didn’t have the full 180bhp four-valve desmo kick, it had enough to cause damage. More .338 Lapua than .50 BMG perhaps. 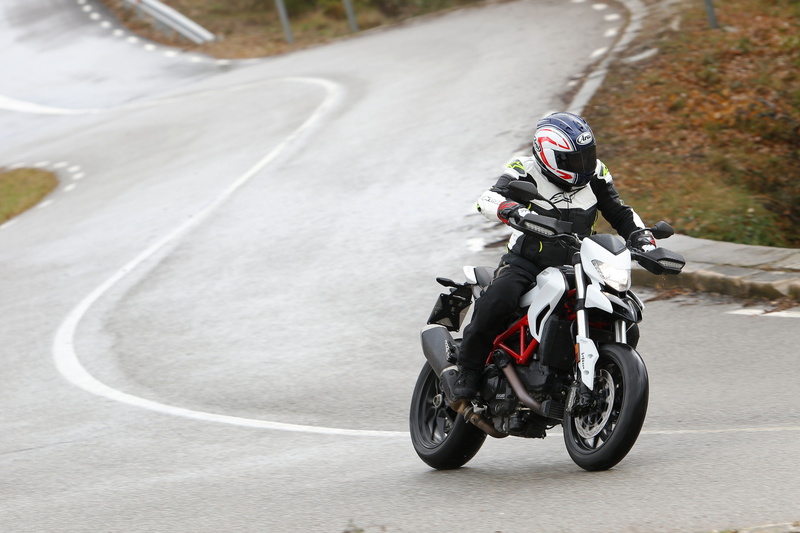 That original Hypermotard 1100 was a big hit straight off, its violent throttle response and sharp power delivery perfectly in keeping with the genre. The 2010 ‘Evo’ version was no less unhinged, with more power from a tweaked engine, less weight and higher-spec SP version. 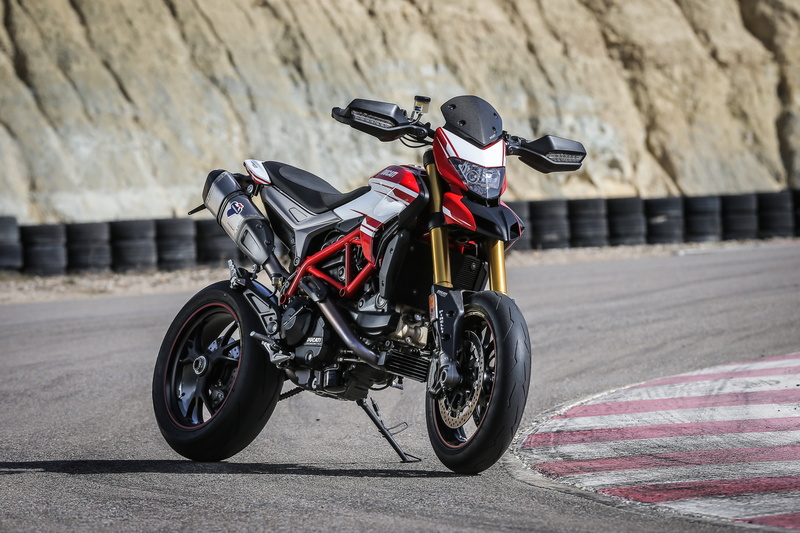 Over the next five years though, the rough edges were smoothed a little, with a smaller 803cc ‘796’ version, then an all-new 821cc Hypermotard range in 2013. But the need for Euro IV emissions compliance means we require yet another engine for 2016. So, we’re in Barcelona, Catalonia. That’s proper north-eastern Spain, in February, and we’ve not been lucky with the weather. An Atlantic storm has drifted south over the Pyrennean foothills, and it’s dragging cold, damp air over our launch base. Now, when I got the invite – come to Barcelona, bring your track kit – I though we were headed for the F1 Catalunya track at Montmelo. That would be crackers of course: the big track there swamps 600 supersports bikes, much less mad urban supermotard-type wheels. No – we’re at a much better spot in fact, the Parcmotor Castelloli track up towards Montserrat. Advertised as a karting centre, it is in fact much better and bigger than you’d think, with a 4km full circuit, decent fast corners, and a big range of elevation. There’s even a Suzuka-style crossover bridge, so you get a mix of left and right handers, nice. The new bike looks very nice too. We’ve had a tech presentation already, and the project managers admit that the cosmetics and basic design ideals are almost unchanged. The 2016 bike doesn’t look super-new compared with the 2015 bike. But the changes are there, mostly in the motor department. 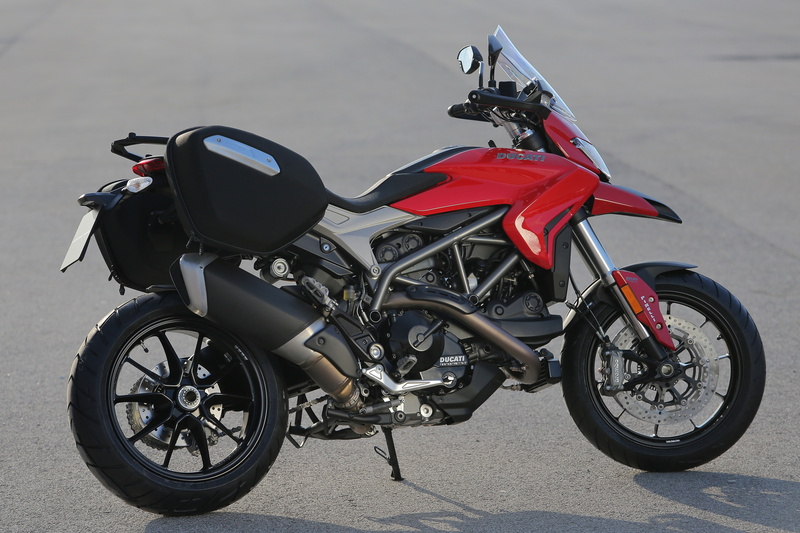 The new 937cc lump borrows the ‘Testastretta 11°” moniker from the Multistrada and Diavel range, the 11° referring to the valve timing overlap, aimed at giving a very torquey output. The bigger bore means new pistons of course, and there are revised con-rods and crank as well. The Euro IV regs mean a new exhaust with a very hefty catalyst in the link pipe. We don’t get any more peak power from the engine changes – the top end remains at 113bhp. But there’s a stack more urge in the midrange, and there’s far more area under the power curve on the new bike. At around 6,000rpm, you get about 15bhp more: a very useful 18 per cent boost at just the right time. You’d think that no more peak power means no more heat, but Ducati’s added a new oil cooler anyway. 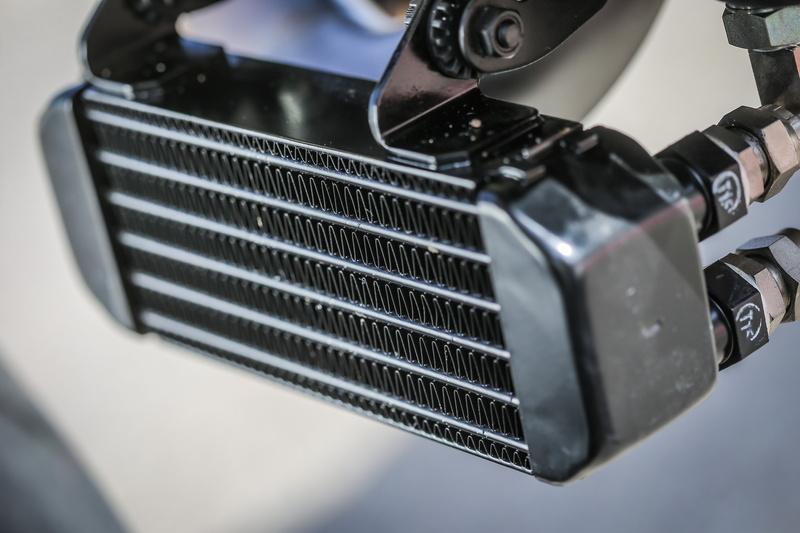 The project manager Paul Ventura told us it was down to the extra midrange making more heat, and justifying the new cooler, just to keep things within margins, especially in hotter climates. They could have tossed the oil coolers back in the truck today though. The dashboard air temp gauge is showing just six degrees, and while the rain is off for the moment, there are thick rivulets of water running across much of the Castelloli circuit. Luckily, the Pireli tyre support guys have brought racing wets as well as the stock SuperCorsa SPs, and their hugely grooved treads are reassuring, as is the soft-enough-to-mark-with-your-thumbnail sticky compound. The techs pull off the lovely warmers, and I jump on, ready for the first track session. 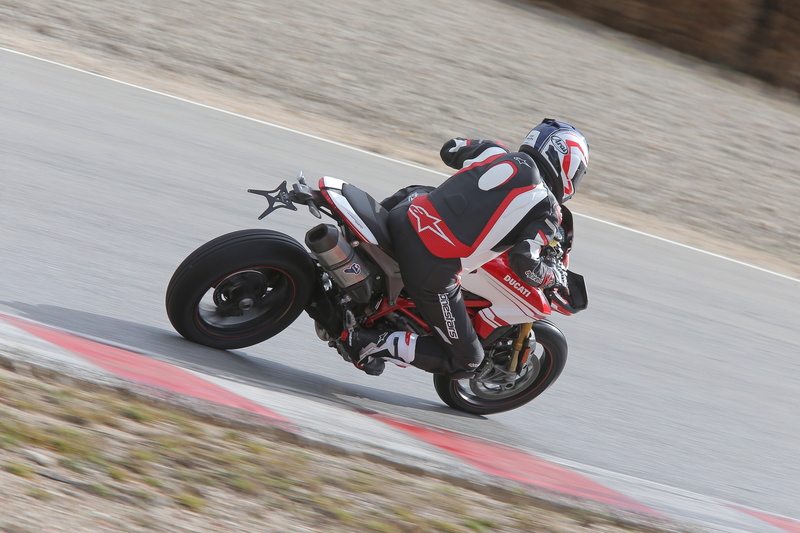 I say ‘jump’ advisedly – these are the SP versions we’re riding on track today, and they’re 20mm taller than the (already-tall) standard Hypermotard. I can only just get one toe down on one side by hanging off the side of the wide, 890mm high seat. 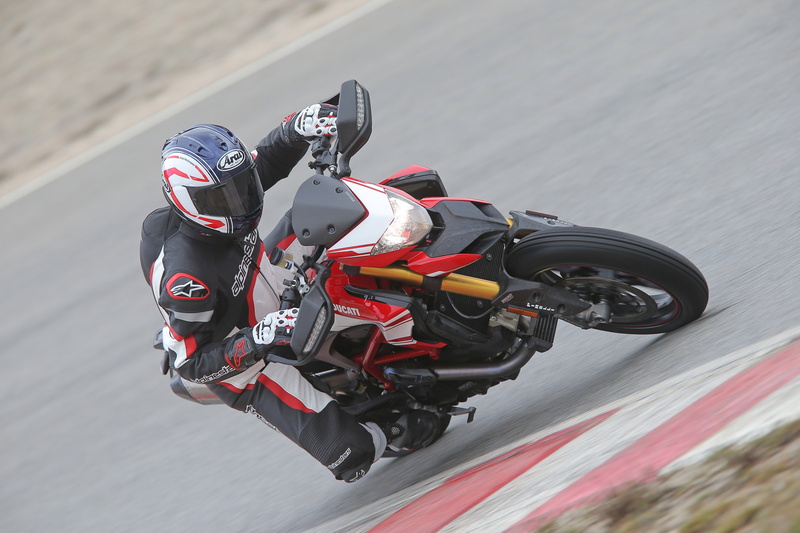 If you’re short (or even average height), conside speccing an optional shorter seat, or even going for the Hyperstrada touring version, which has a much lower 810mm perch. Ducati says the taller seat gives more ground clearance on track, but I’m not convinced you need it on such a narrow machine. Still, once you’re moving, the thing could be ten feet high, and I’m cheered up by the first few laps. The rain has stayed away still, and the Pirelli wets are giving great grip and feedback from the drenched Tarmac. The track itself is simple to learn, but great fun, with the hilly terrain giving some interesting climbs and drops. And the little Duke feels strong, smooth and assured. The new engine is packed with grunt, as advertised, and you can easily lift the front wheel, almost at will. Coming out of the slower first and second gear bends, it’s a cinch to hoik the front like a hero, and the challenge of finishing the (admittedly short) pit straight on the back wheel soon falls. The throttle response is fabulous too – we’re running on a modified ‘Wet’ riding mode, with the engine power response set to ‘medium’, and what with that plus the Pirelli wets, I’m not seeing any flashing from the traction control lights as yet. We switch to full engine power on the later session though, and that gives the TC more of a workout, particularly when the rain returns and the track gets another soaking. Getting going is easy, and so’s stopping, the Brembo front stoppers giving shoulder-crushing stopping power, plus enviable feel and control. 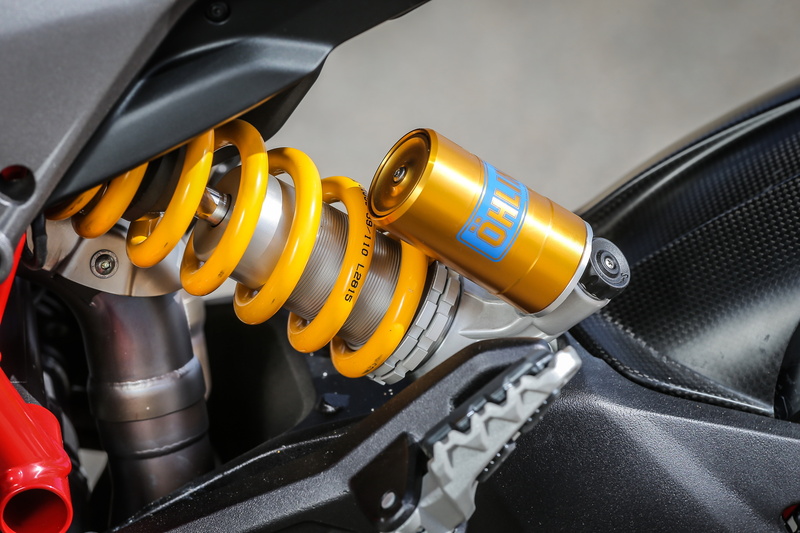 The suspension is plush – the SP boasts beefy 48mm Öhlins forks as well as an Öhlins rear shock for 2016 – although I’m not certain we’ve got the best setup to go with the wet tyres and drying conditions. The Parcmotor track has a few bumpy sections caused by car races, and hard on the gas over some of these bits, the front end gets all lively, making me back off the gas. Nothing terminal certainly, and I bet it could be dialled out with some chassis setup, or disappear entirely once you swap back to normal rubber. Track session over, it’s time for some lunch, then off for a road ride towards the Montserrat monastery on the base Hypermotard. I’m looking forward to a spin on the roads, but the weather has turned for the (even) worse. The rain that’s been coming on and off arrives for real, and the mercury plummets further as we climb up into the Montserrat hills. By the time I see five degrees on the dash, the hailstones have started, and it’s a real tiptoe round the twisty mountain roads. 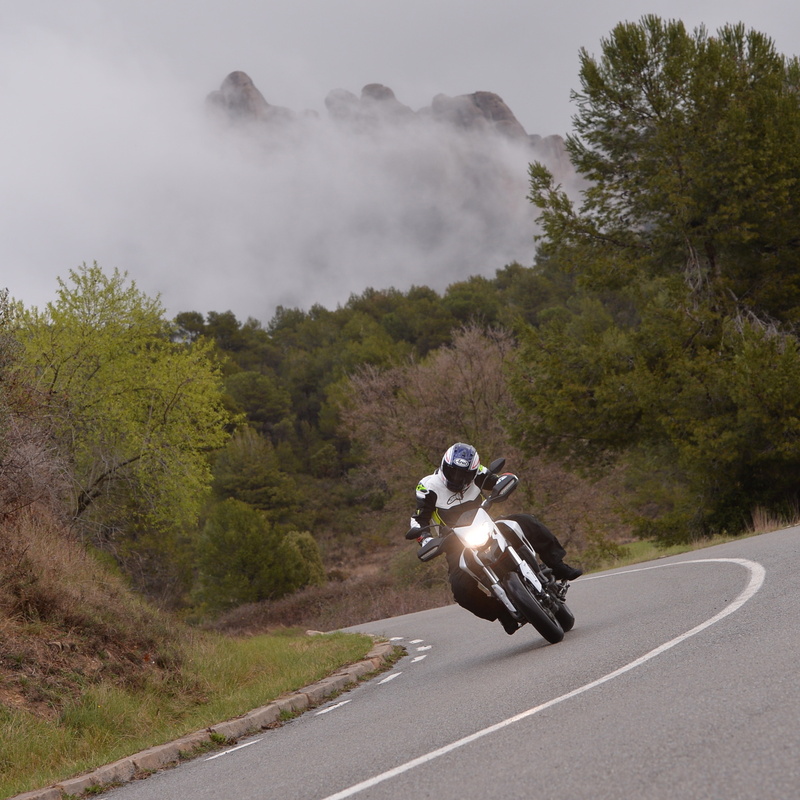 The stock bike’s Pirelli Diablo Rosso II rubber is doing its best, but the racing wets are a dim, distant memory as we skid round the polished Catalan asphalt. The Hypermotard feels like a useful ally though: the ABS and traction control gives confidence, the smoothness of the throttle response and power delivery aids control, and if only there was an optional roof and heater option, I’d be pretty happy… As it is, the Hyper-minimal bodywork on the Ducati means I’m properly drenched: the vestigial front and rear mudguards, and micro-windshield let the road spray all over me, from both the lead rider’s bike in front, and my own rear Pirelli. When we stop for coffee, my rucksack is filled with water, killing off my trusty wee Canon S120 Powershot, stone dead. Booh! Back to the track, and our day’s done. 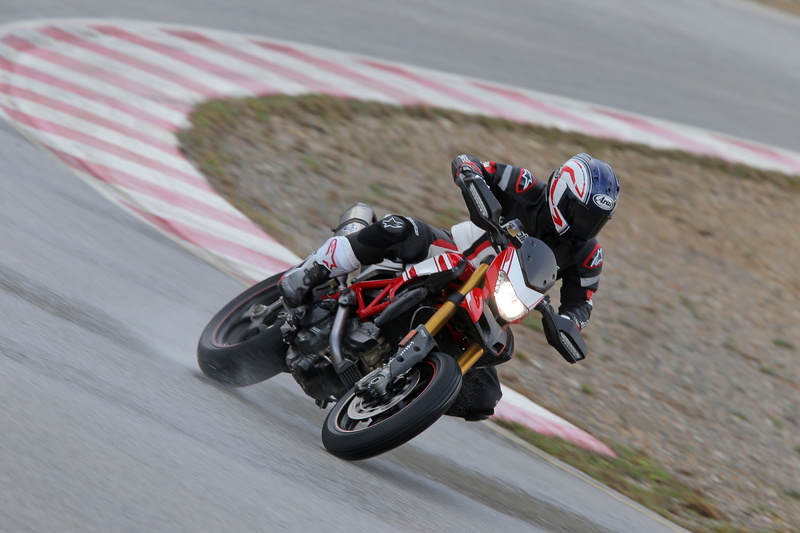 I’m impressed with the Hypermotard actually – more so than I expected. I was never a real fan of the original bike – it was too skinny, too sharp, too minimalist at the front. Other bikes – especially the KTM 950 – did this sort of thing better, with a wider range of capability. But this new 939 brings a real accomplishment to the job. Sure, it’s a nutter wheelie bike when you want it (and I wanted it a lot). But that comes with a manageable, smooth and progressive powerplant that’s a pleasure to ride slow too. The chassis is top-notch stuff, and if you can live with the tall seat, and spend some time on setup for the track, you’ll have a ball on all but the biggest, fastest wide-open circuits. The only conflict left then is which one to go for: the super-tall fancy-pants SP, the vanilla basic 939, or the touring biased Hyperstrada…. 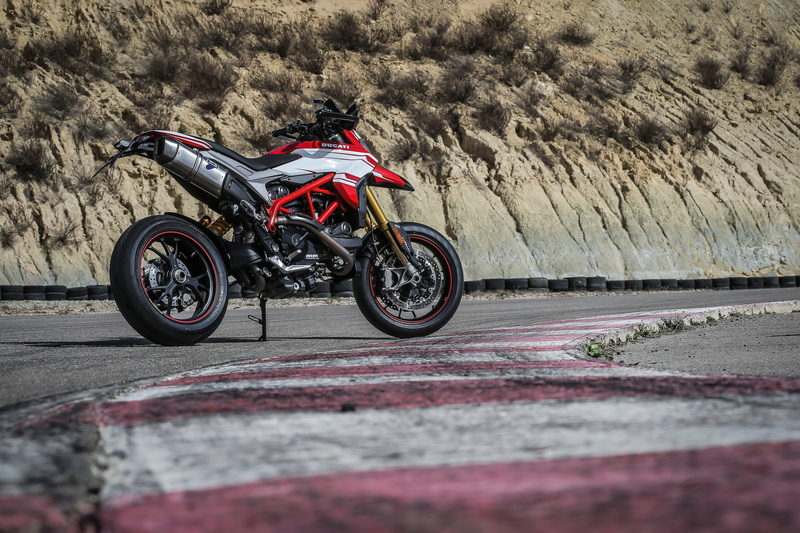 There are three versions of the new bike: the ‘basic’ Hypermotard, then the SP version, with Öhlins suspension, carbon bodywork, forged wheels, radial brake master cylinder, magnesium engine covers and fancy paint. The SP seat is also 20mm taller. Finally there’s the Hyperstrada touring version. This gets semi-hard panniers, a windscreen, much lower seat height, centrestand, 12v sockets, passenger grabrails and bigger mudguards. Strangely, it also gets more dirt-styled tyres: Pirelli Scorpion Trails. We’d probably prefer a normal sport-touring tyre here instead to be fair. 937cc four-valve desmodromic V-twin, with 11° Testastretta design, and new oil cooler. Pistons, rods and crank also all new. Basic Sachs units on the base bike, fancy Öhlins kit on the SP. Strada has a lower setup. Natty little dash contains moderate levels of complexity: riding modes, traction control and ABS settings, all adjustable. The SP has a ‘Race’ mode missing on the others that unhooks the rear ABS function. No standard quickshifter is a shame, although it will no doubt be an option.